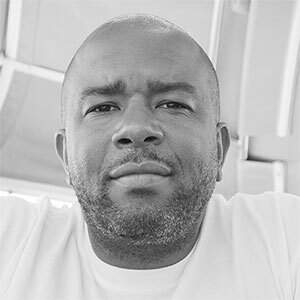 I had such a great time talking with Jole Simmons, a killer presentation designer who has done work for Facebook, Duarte Designs, The Creative Group, the National Association of Black Journalists, and Microsoft. And wouldn’t you know it — Jole and I had this conversation while he was on vacation! Talk about dedication! Jole talked about his unconventional journey from a Hampton University grad working in advertising to a mid-career change that where he’s now best known as the “presentation guy”. We also talked about inspiration, mentoring, and the importance of racial diversity in the design field. Also, don’t forget to enter to win one of two free tickets to Generate NYC! We’re announcing the winners on June 13! [CLOSED] Win Tickets to Generate NYC! Episode 23: Chris Barker Episode 29: Tory Hargro [CLOSED] Enter Inneract Project’s Limited Edition Poster Giveaway!